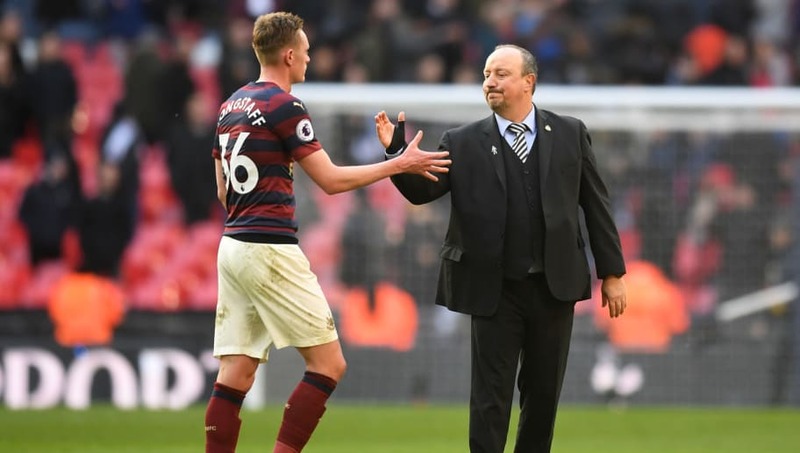 Former Newcastle forward ​Micky Quinn has commented on the Magpies' impressive 21 year old midfielder Sean Longstaff, claiming he has taken to Premier League football "like a duck to water". Longstaff has only recently come into contention for a starting spot , and has made just five appearances in the Premier League this season. However, Quinn has commended the youngster for his consistency in recent weeks with many key first team players missing. Longstaff was crucial to the side that beat last year's champions ​Manchester City 2-1 last week, and Quinn was quick to comment. He wrote in ​The Chro​nicle: "I can't believe how good of a temperament he has. The experience he would have gained against the likes of Tottenham, Manchester City, ​Chelsea, ​Liverpool, will stand him in incredibly good stead and he never looked out of place in the team. "His composure is fantastic, his retention of the ball is second to none and he has looked like he has been in the team all season. That is the sign of a top quality player. He is still only a baby, really, given his age, but he is gaining invaluable experience and it is exciting that a youngster like that is coming through the ranks again. Quinn also admired Longstaff's positive impact on ​Newcastle's squad, suggesting that academy players, like new signings, breathe fresh air into a squad if they have been struggling for results. He added: "When a youngster comes in and does well it just freshens everything up and I have got to take my hat off to the kid. He has been outstanding. "His temperament is ice-cool because you can boil over in these situations. Playing for your hometown club after being brought through the academy system is a massive deal but Longstaff has taken to the Premier League like a duck to water." Longstaff has been given a run in the team due to injuries to Jonjo Shelvey, Mohamed Diame and Ki Sung-yueng. It will be interesting to see what role he plays in the team when the trio are available for selection once again.